IF, Innovation Foundation is becoming known for bringing contemporary art into the landscape through their Public Domain initiative which produces and presents artistic and curatorial interventions in the public sphere. 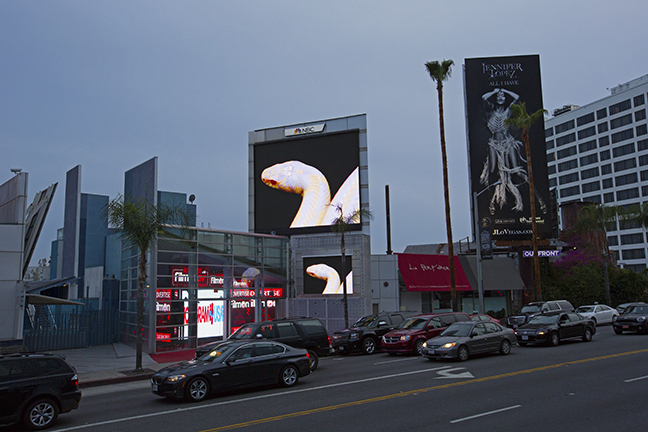 IF has produced a variety of public art projects—including site-specific sculpture, outdoor murals, digital billboards and public interventions throughout the L.A. region, These projects include, among others, an curatorial collaboration with West Hollywood's Art On The Outside for two digital billboard locations in West Hollywood at 9039 and 8410 Sunset Blvd. 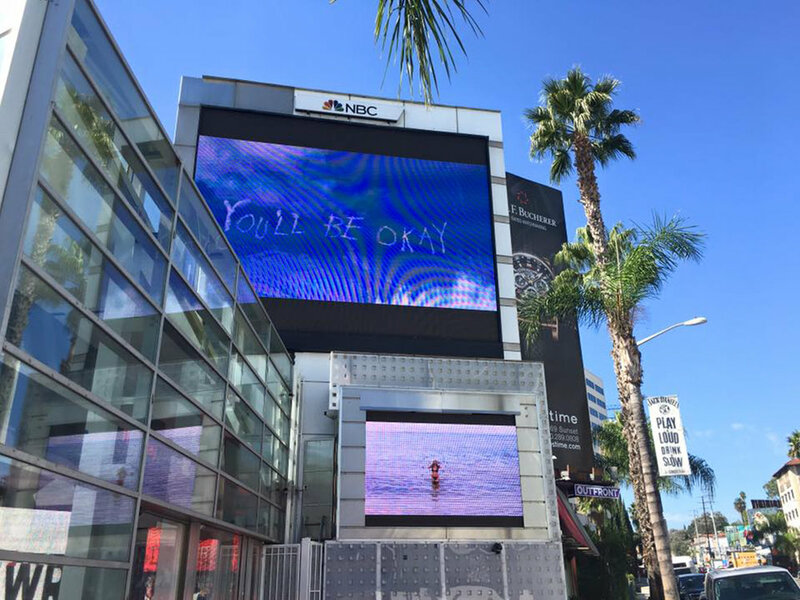 As the first installation of AOTO’s video billboard series, artist Jillian Mayer employs modern technology as an integral part of her creative mode. Mayer’s work is designed for broad appeal but asks big questions about human connection, existence and manufactured realities. The uber-hip packaging belies the subversive and unflinching images she presents to audiences. John Knuth and Andy Featherston: WHITE SNAKE! Building up layers of simultaneous affect, this mesmerizing, silent, love song to the Albino California King snake is at once beautiful and startling, calming and jarring. 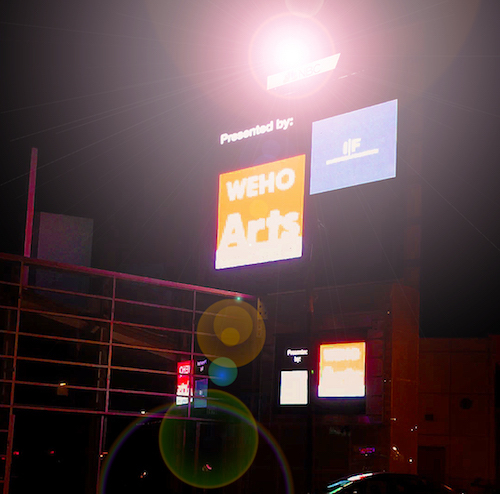 It plays with the aesthetics of the attention-grabbing imagery of the media that saturates the Sunset Strip. This subversive series is an allegory of Los Angeles; where the mundane and magical coexist. In this wry send-up of a theatrical movie trailer, Nikhil Murthy quietly contrasts apocalyptic Terminators and flirty Arcadian Adam and Eves, with the omnipresent invisible legion of Hispanic Californians. Seen in the heady, lush, glittering environment on the Sunset Strip, ambitious dual-screen synchronous video will perfectly celebrate the spectacularly extraordinary phenomenon of another crappy day in paradise.